4. under the understanding of three neural reflexes: the Post Isometric Contraction Reflex, Reciprocal Inhibition Reflex, and Apprehension Reflex. What should I prepare for the class? Wear comfortable clothes. If possible, avoid eating two to three hours before the class. It is recommended to bring your own mat (Yoga/sticky mat) and a light blanket. What should I do when I come to my first class? Please arrive 15 minutes early before the class starts. In addition to filling an Information and Waiver form, Justin will chat with you and get to know you. He will also give you a quick orientation of the class, and answer any questions that you may have. 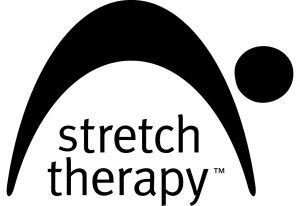 Justin with Kit Laughlin and Olivia Allnutt, the creators of Stretch Therapy after a day at the Teacher Intensive training in London, 2017. Exhausted but happy! Yoga means Union in Sanskrit. Depending on what one is seeking, for example, it can be union of body, mind, and spirit. Practicing Yoga improves one’s physical being and spiritual being. Through various techniques such as practicing postures (Asanas), breathing (Pranayama), and meditation (Dyana), one can explore the true inner self. Everyone! Regardless of gender, physical condition, and age, everyone can be benefit from practicing Yoga. Just start as you are! What is a Yoga class like? The class starts with centering (to bring you to the present), followed by practicing a series of postures (Asanas). It ends with relaxation and meditation. What are the eight limbs (ashtanga) of Yoga – the guidance for conscious living? What are the six branches of Yoga?